If you need some of the more advanced types of oral surgeries that will re-create a healthy and full mouth, Advanced Family Dentistry can help. Come check out our comfortable office and learn more about the high-quality oral and dental services we provide. What is Sinus Lift and Sinus Augmentation? 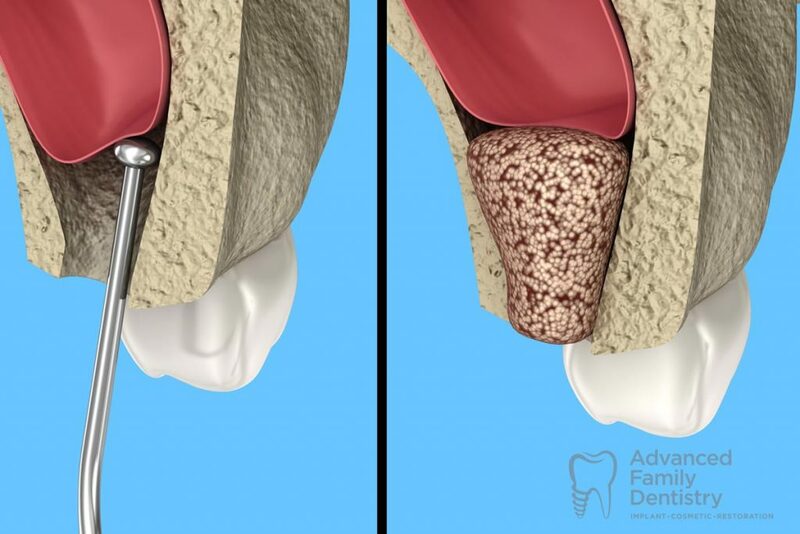 A sinus lift is essentially a bone grafting technique that builds up the bone near the jawbone in order to allow for dental implants. In a sinus lift, medical professionals make an incision to expose the jawbone and fill a particular area with bone graft material, in order to thicken the bone there, so that dental implants can be placed on that bone structure. Why Get a Sinus Lift? Patients who are candidates for a sinus lift may have multiple teeth missing near the back of the jaw. They may be missing significant amounts of bone there, too, because of periodontal disease or some other condition or injury. In other cases, patients have conditions that lead to teeth growing in unusual ways, or lack of development from one area of the jawbone. In these cases, a sinus lift is a way to build up the bone to restore structural integrity and allow for dental implants to replace lost teeth. What’s a Sinus Lift Like? One of the first things to understand is that this type of oral surgery doesn’t take an extremely long time. The sinus lift can be done in about an hour and a half, or two hours. Patients will have anesthesia options including local, general or intravenous ‘twilight’ sedation anesthesia according to their health conditions and choices. Before having a sinus lift, you’ll want to consult with Dr. Kim about all of the questions you have regarding preparation, cost, benefit, side effects and recovery. We will document your overall medical history and ask about what medications you are currently on, in order to avoid potentially harmful drug interactions. We’ll also want to know about any known allergies. After a sinus lift, the recovery period is typically 2 to 3 days. You really want to take it easy after this oral surgery procedure – and practice good home care afterward. Patients may be advised not to fly or do strenuous activities directly after the sinus lift, and there may be some pain medication required for a day or so. Talk about all of these things with Dr. Kim at Advanced Family Dentistry. We’re able to offer some of these more involved procedures in a relaxed environment and help our patients to feel safe and confident about the treatment that they need. Part of what our customers love about our practice is the dedicated care that we give each patient, and the fact that we listen to your concerns and help you with any questions. Come to Advanced Family Dentistry to figure out whether a silent sinus lift or augmentation is right for you.